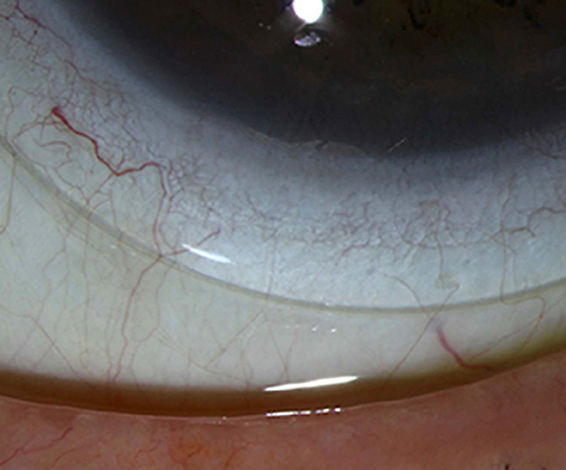 29 YO male presented to clinic following referral from the corneal specialist in our practice. Goals: The patient expressed that he was getting married in approximately three weeks. reception without discomfort and with improved vision versus his spectacles. 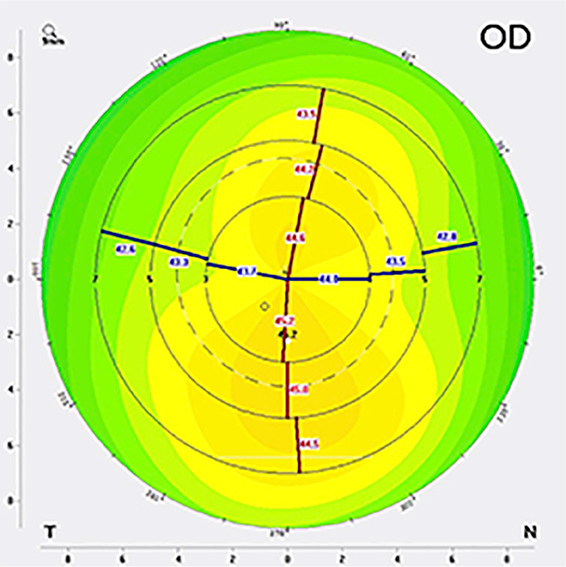 OD: Mild corneal thinning without scarring or striae. We had a short timeframe to work with in order to meet the patient’s goal of wearing the lenses to his wedding. Fortunately, this was an example of the diagnostic lenses fitting the patient perfectly. 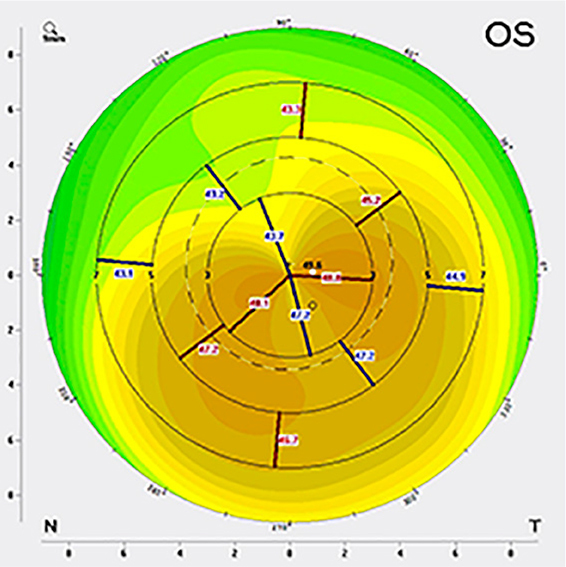 We incorporated the over-refraction from the diagnostic fitting and the patient was successfully fit with the first lens ordered. One month later the vision and fit remained unchanged and the patient reported average daily wear time of 16 hours without interruption. The patient was happy to report his goal was achieved and he was able to wear his lenses with excellent comfort and vision throughout his wedding ceremony and reception.